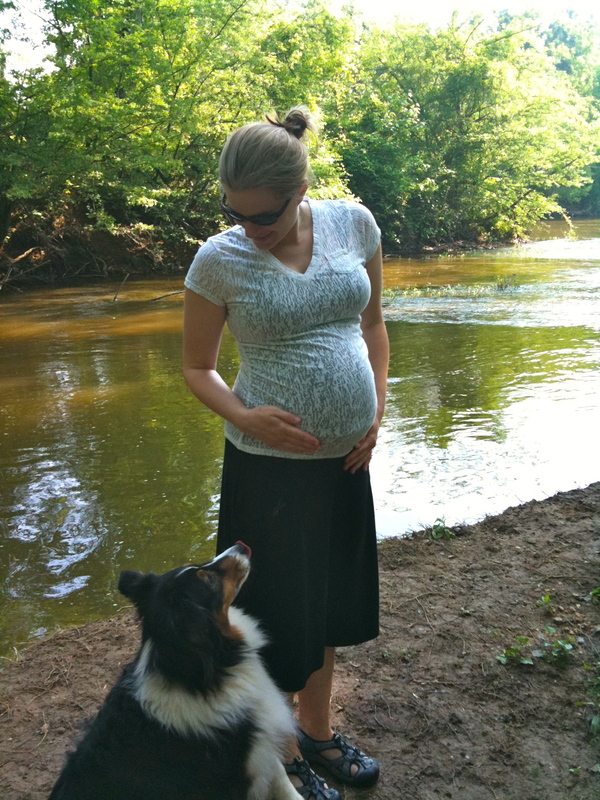 Another bump photo at 36 weeks and 5 days taken at the River this morning. Total weigh gain 15 pounds, 4 of those in the last few weeks– he has all the sudden become a very hungry little man. And where ever he has finally positioned himself has allowed me to be able to eat for the first time this pregnancy (Nom Nom Nom Panera Chocolate Chip Cookies!). YAY!!!! PRETTY GIRL!!!!! Love you!